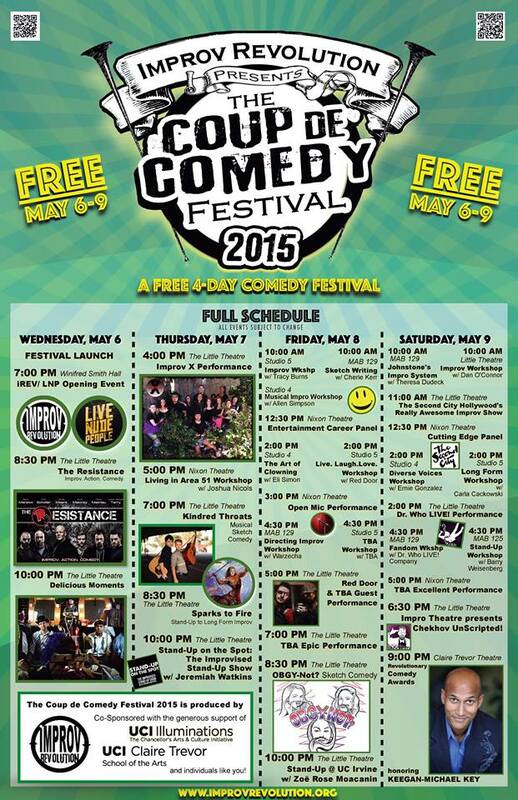 The Coup de Comedy Festival 2015! At UC Irvine’s Claire Trevor School of the Arts! 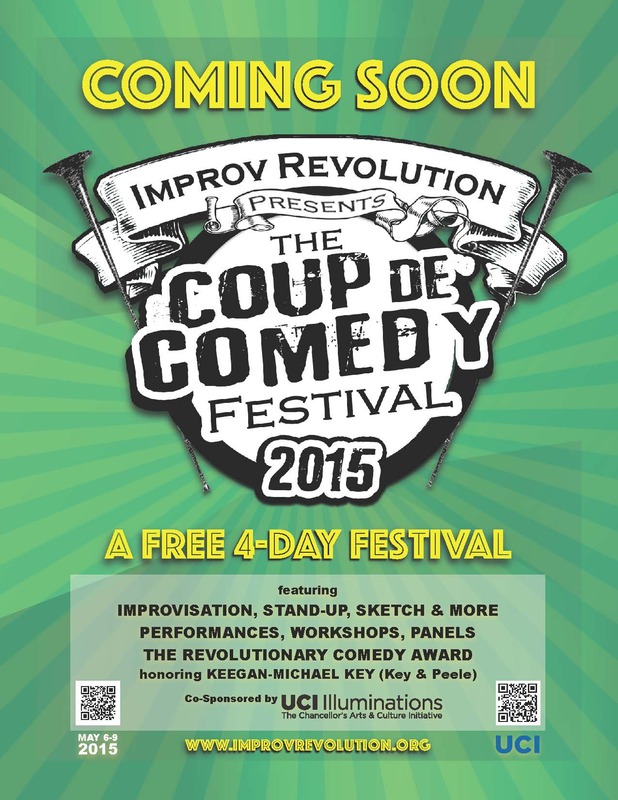 This epic festival will be bringing amazing comedy to UCI! What is the Coup de Comedy Festival, you may ask? Well, it’s a four day comedy extravaganza featuring the best of the best shows, panels and workshops all on the UCI campus FOR FREE. We’ll be bringing you high quality individuals such as KEEGAN MICHAEL KEY (Comedy Central’s Key and Peele)! 2. Share this information with your friends and family! 4. Initially RSVP to the facebook event for updates! FREE REGISTRATION FOR ALL EVENTS will begin on April 15th! Hope to see you at the Coup, May 6-9, 2015!! !